So you want to write a book but somehow you never find the time. You have a creative passion you long to pursue but your day job gets in the way. Don’t wait, creative actionista Yang-May Ooi says, you can do it right now. Many people have said to me, “I would really love to write a novel but …” There’s the job and the kids and all those things they have to do. I see the longing in their eyes. Hear the wistfulness in their voice. Maybe one day… after they retire, when the kids are grown, when they’ve paid off the mortgage… one day…. If that strikes a chord with you – whether you long to write a book or pursue another creative passion – let that one day be today. We think that we don’t have time. But we have as much time as we want. It’s about knowing how to create it. I was working in a corporate role in the City where I was responsible for £5bn worth of assets. In January 2014, I started writing the script of my solo theatre show Bound Feet Blues. I had no knowledge of the theatre world and no formal drama training. In under two years, by November 2015, I was stepping on to the stage at a theatre in London’s West End on the opening of the full production, supported by an internationally renowned creative team. In early 2015, I was also writing a 120,000 word book, also called Bound Feet Blues. It took me five months and was published to co-incide with the opening of the show. How did I achieve all that while also maintaining my corporate role? I’ll come clean – I was working four days a week. Efficient use of time means that I am really doing five days work in four. So this leaves me one day for my creative career – and the weekend and evenings, of course. 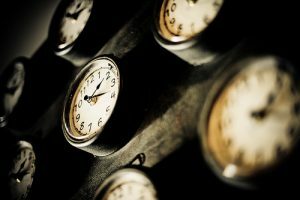 Many years ago, I asked my employers to downshift in order to focus on my writing – and they agreed. Many companies will consider such a request these days but you will need to make a business case to make sure that your work is covered. Think creatively – could you work from home, create a job share or try out a part-time arrangement for a trial period? 2. What are you willing to give up? Over the long term, I was prepared to give up 20% of my salary in exchange for time for my creative career. It has been time that has given me a sense of fulfillment, joy and purpose that no money could ever buy. 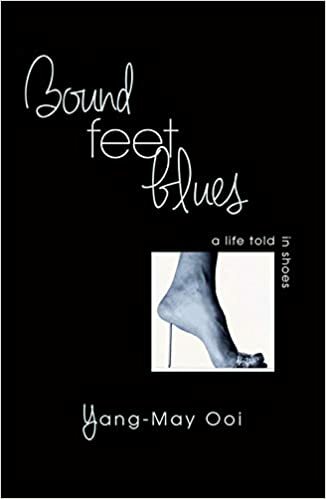 In the short term, while I was writing and developing Bound Feet Blues over 22 months, I was prepared to give up mowing the lawn, cleaning the house and other chores. A temporarily dirty, messy house and garden is not a huge price to pay in exchange for time to focus on an extra-ordinary creative opportunity. I have also had to cut down on seeing friends, going out to the theatre, weekends away. But I knew it was only for a few months and I made sure to keep in touch with friends and family by other means such as phone calls, emails, Facebook and Skype. Think about where you could make a few changes that would make the most difference to your time. Start small – could you take cheaper holidays over the next two years so you can downshift? Could you ring fence one evening a week for your writing or creative project? 3. Enlist the support of your friends and family. I asked my partner to help me create time. Together we came up with ways we were willing and able to trade tasks. She would do more of the cooking and most of the local errands like going to the butcher – and I would repay her in kind after the show’s run ended. Talk to your family and friends about your dream to write that novel or pursue your creative project. Ask them what their dream might be. They may not have the same creative urge as you but either way, together, work out ways they can help you or you can support each other in creating time. Can someone take on the grocery shopping while you do the laundry? Can others take charge of the evening meal and washing up one evening a week so you can write? What could you barter them in return? And when you have created time, Do The Work. Don’t check emails. Don’t go on Facebook. Don’t tidy your desk. You have had the guts to ask for what you want. You have given up things that you value in order to create time. Your family and friends are helping to give you this time. Don’t let that all come to nothing. That last biggy is not so much a principle as the foundation of everything. So for 22 months, I wrote and rehearsed and worked hard to bring the full production of Bound Feet Blues into being with director Jessica Higgs and the creative team. I also wrote and wrote and wrote to finish the book. And I headed off to my corporate offices four days a week and worked hard there, too. It was exhausting and stressful at times. But it was also rewarding and fulfilling and amazing. Letting my creative spark fire up and burn brightly now and not one day in the future makes me feel alive and gives me energy. It makes Doing The Work worthwhile. Actually, Doing The Work is the creative energy. So if you create time for it, you can keep that energy burning brightly in your life – not one day in the future but now and in every moment.